Ararat (Armenian: Արարատ, Armenian pronunciation: [ɑɾɑˈɾɑt]), is a province (marz) of Armenia. Its capital and largest city is the town of Artashat. 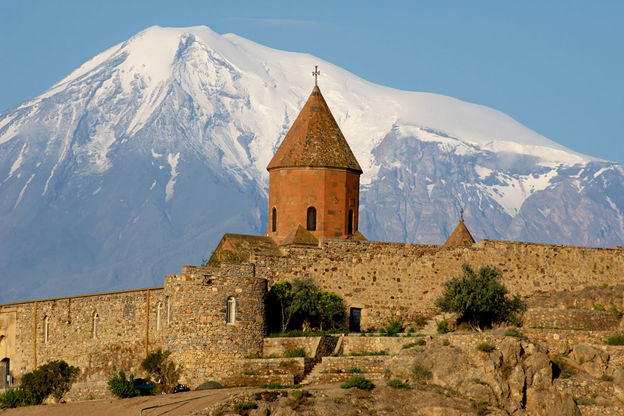 The province is named after the biblical Mount Ararat. 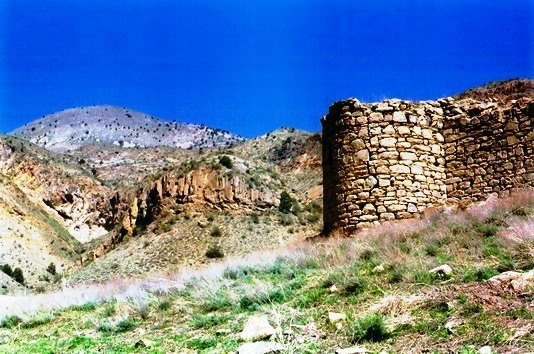 It is bordered by Turkey from the west and Azerbaijan’s Nakhchivan Autonomous Republic from the south. 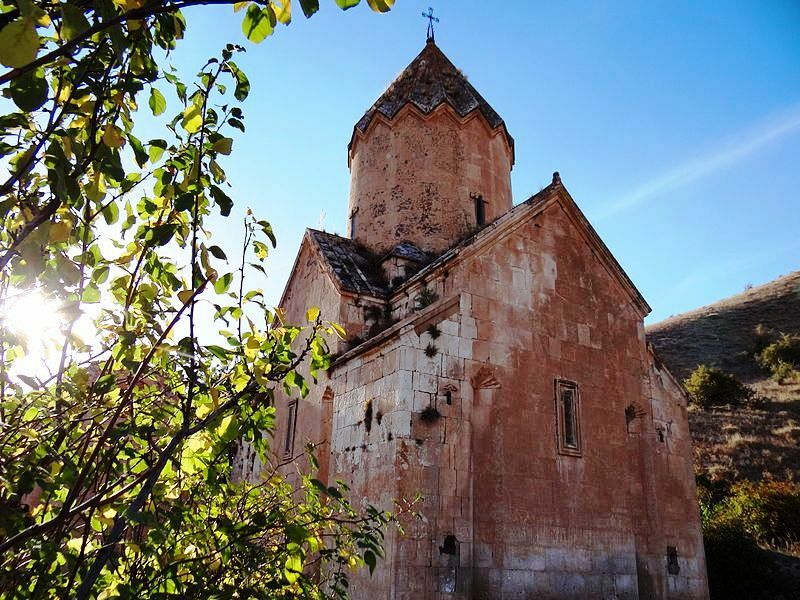 It surrounds the Karki exclave of Nakhichevan which has been controlled by Armenia since its capture in May 1992 during the Nagorno-Karabakh War. 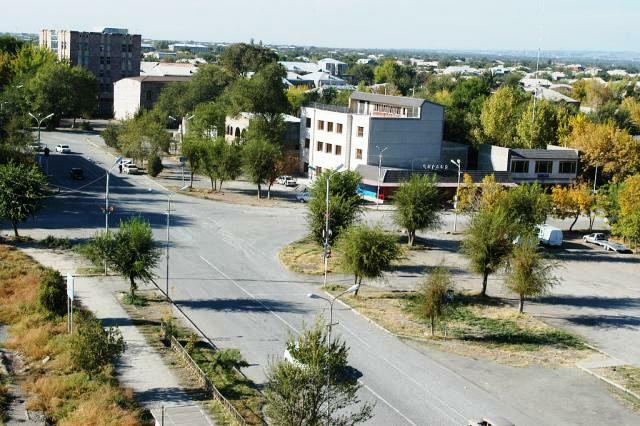 Domestically, Ararat is bordered by Armavir Province from the northwest, Kotayk Province from the north, Gegharkunik Province from the east, Vayots Dzor proivnce from southeast and the city of Yerevan from the north. 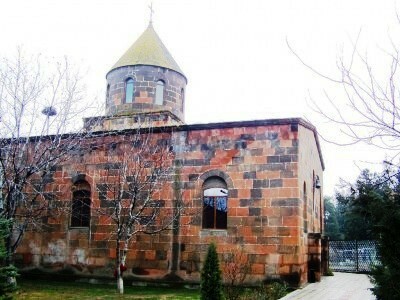 Two former capitals of Armenia are located in the modern-day Ararat Province, Artaxata and Dvin. 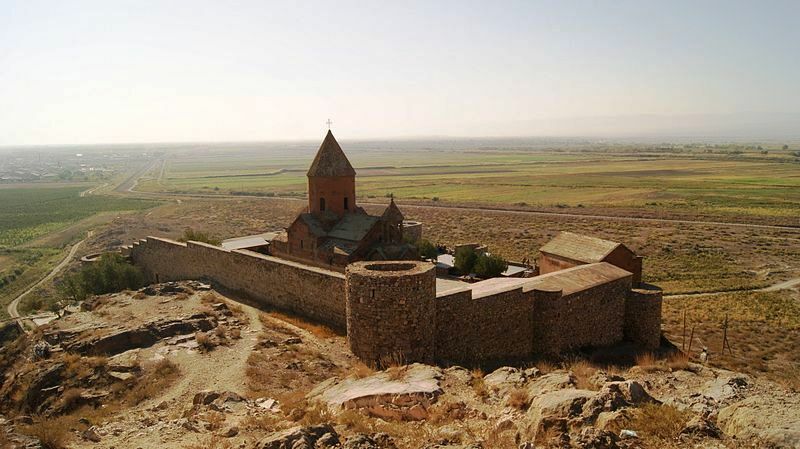 It is also home to the Khor Virap monastery, significant as the place of Gregory the Illuminator’s 13-year imprisonment and the closest point to Mount Araratwithin Armenian borders. 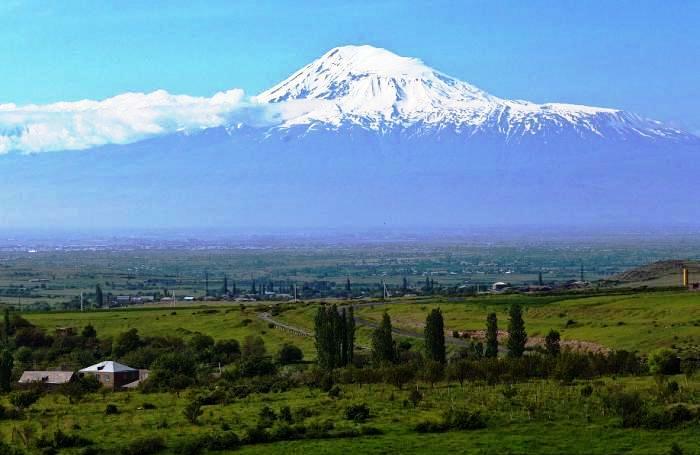 Ararat has an area of 2,090 km² (7% of total area of Armenia). 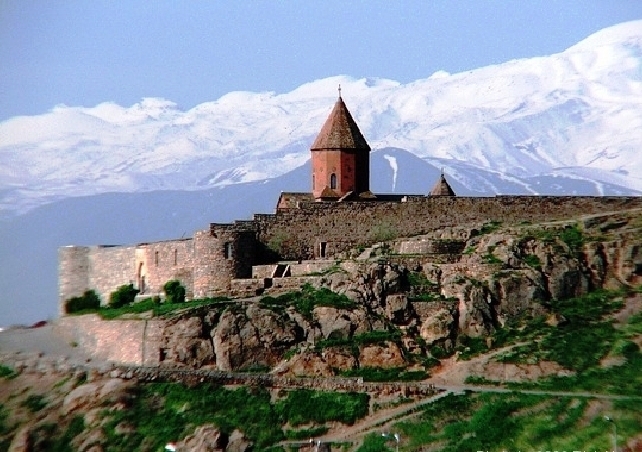 It occupies the east of the central part of modern-day Armenia. 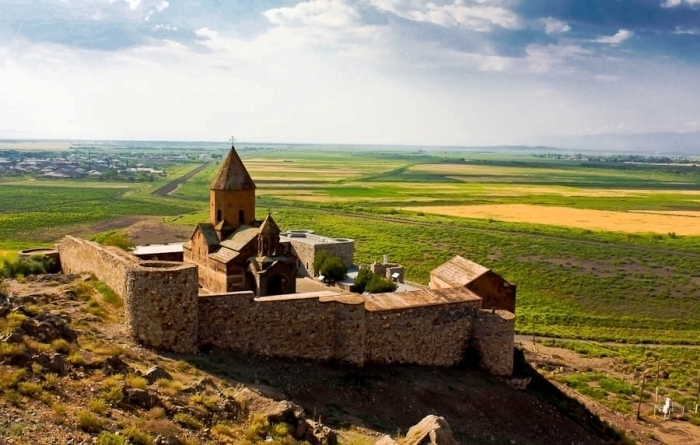 From the north, it has borders with Armavir Province, Yerevan andKotayk Province. From the east, its bordered by Gegharkunik and Vayots Dzor. Iğdır Province ofTurkey and Azerbaijan’s Nakhchivan Autonomous Republic respectively form the western and southern borders of the province. 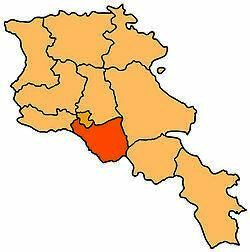 Historically, the current territory of the province mainly occupies the Vostan Hayots canton ofAyrarat province of Ancient Armenia. The province is located at the southeast of the Ararat plain, surrounded by the Yeranos mountains from the north, the mountains of Gegham, Dahnak and Mzhkatar from the east, Urts mountains from the south and the Araks river from the west. 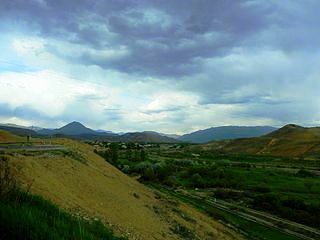 The mountains of Yerakh are located at the centre of the province. Approximately, 30% of the territory is plain, while the rest is dominated by mountains. The highest point of Ararat province is the Spitakasar peak of Gegham mountains with a height of 3560 meters. The lowest point is 801 meters at the Araks valley. Araks, Hrazdan, Azat and Vedi, are the 4 major rivers the flow through the province. The climate is highly diversified in the province. It ranges between extremely arid climate at the lower plains and cold snowy climate at the heights. According to the 2011 official census, Shirak has a population of 260,367 (74,103 men and 133,146 women), forming around 8.6% of the entire population of Armenia. The urban population is 74,103 (88.46%) and the rural is 186,264 (71.54%). The province has 4 urban and 93 rural communities. The largest urban community is the provincial centre of Artashat, with a population of 22,269. The other urban centres are Ararat, Masis and Vedi. 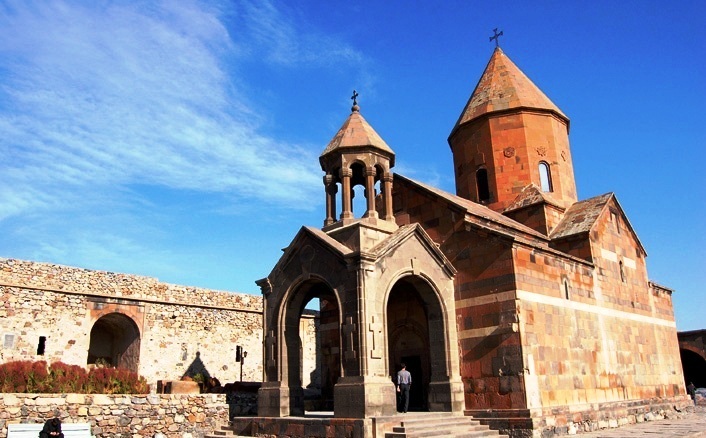 The majority of the Ararat Province population are ethnic Armenians who belong to the Armenian Apostolic Church. The regulating body of the church is the Araratian Pontifical Diocese, headed by Archbishop Navasard Kchoyan (seat in Yerevan). 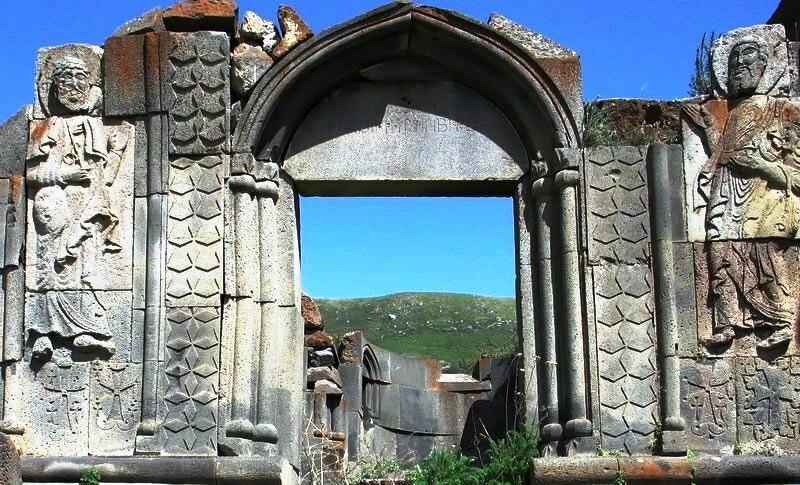 However, the village of Verin Dvin is predominantly populated by Assyrians belonging to the Assyrian Church of the East, whose ancestors migrated to Armenia from Iran during the 1st half of the 19th century. Almost half of the population of the village of Dimitrov is also Assyrian. The approximate number of the Assyrians in Ararat Province is around 2,500. Being located at the fertile Ararat plain, the province contributes with 15% in the annual total agricultural product of Armenia. Around 75% (1,567 km²) of the total area of the province are arable lands, out of which 17.23% (270 km²) are ploughed. Orchards mainly produce grapes, apricot and peach. and apple. Other products include pear, apple, melon, watermelon and eggplant. Grains and dry seed are also among the crops of the agricultural activities in Ararat. The irrigation infrastructure of the province is quite developed. 90% of the farmlands are irrigated, mainly using canals opened from the rivers of Vedi and Azat. The Geghanist village has a specialized plant in producing fertilizers and irrigation system design. The province has 2 large poultry farms in the village of Kaghtsrashen and the town of Masis. Recently, fish farming has significantly developed in the province. 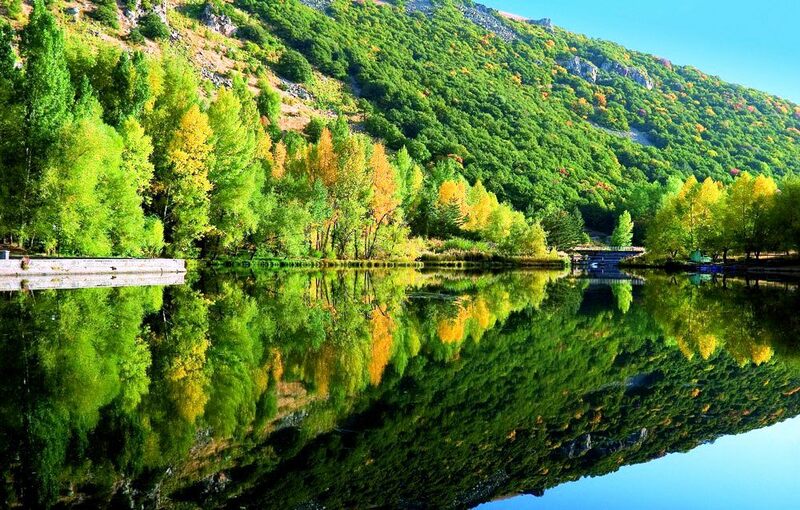 The largest fish farming ponds are located at the vicinity of Armashvillage. Ararat is among the most industrialized provinces of Armenia with many large industrial firms. It currently has a contribution of 10% in the annual total industrial product of Armenia. Production of alcoholic drinks is among the leading sectors in Ararat with a large number of factories spread all over the communities of the province. The largest producers are the “Vedi Alco” factory (wine, brandy and vodka) in Ginevet, the “Avshar Wine” factory (wine, brandy and vodka) in Avshar, and the “Agatat-Gold” company (wine, brandy and vodka) in Nor Kyurin. Other producers include the Araratwine factory, the “Aregak” wine and brandy factory in Dalar, the “Tavinko” wine and brandy factory in Taperakan, the “Van-777” wine and brandy Factory in Taperakan, the “Artashat Vinkon” wine factory in Artashat, the Aygezard wine factory, the Kaghtsrashen wine factory, the Yeraskh wine factory, and the Verin Artashat wine factory. Preserved food production is also developed in the province. The Artashat cannery, the Kaghtsrashen dairy factory, the dairy factory of Dalar, and the dried fruits factory ofSurenavan are the leading firms in this sector. 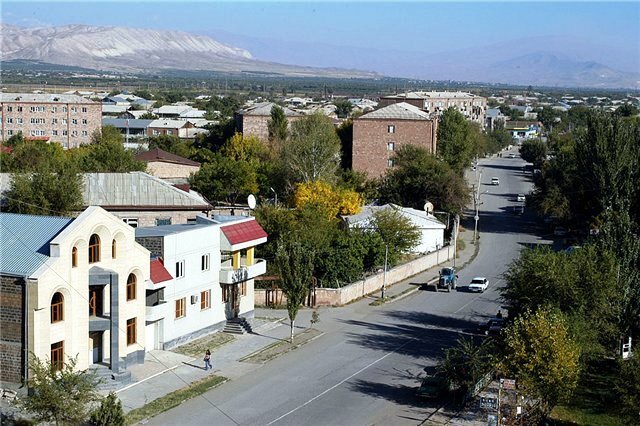 The town of Masis is a major centre for tobacco products in Armenia with its two factories: the “Masis Tobacco” company and the “International Masis Tabak” company. The town of Ararat is home to the “Ararat Cement” factory and the “Geopromining Gold” recovery plant. However, there is a major controversy over the pollution and the toxic waste caused by the various enterprises based on the manufacturing of building materials and the gold processing facility in the town of Ararat. The Ararat Gold Recovery extracts gold from the raw ore sent from the gold mine in Sotklocated 20 kilometres (12 miles) east of Lake Sevan. About 0.46 grams of gold is extracted from each ton of sand unearthed at the mines. The extraction process involves first pulverizing the raw material, and then filtering out the gold using a cyanide nitrate chemical process. The soupy byproduct of the cyanide nitrate chemical process is both toxic and radioactive and collects in a tailing dam. There have been numerous incidents of animals dying near and around the plant’s area. Also, within the years 2003 and 2008, there have been at least 10 accidents at the plant, some of which have resulted in the discharge of the cyanide soup into neighboring agricultural lands and fisheries, killing off cows and fish stock. Other major firms in the province include a factory for plastic products in Vedi, a sandwich panels manufacturing plant in Artashat, a factory for metal-plastic products in Vosketap, a mining and stone processing plant in Surenavan, a heavy-duty papers factory in Masis, a building materials producer in Ararat, and an electrical power plants developer in Lanjazat. 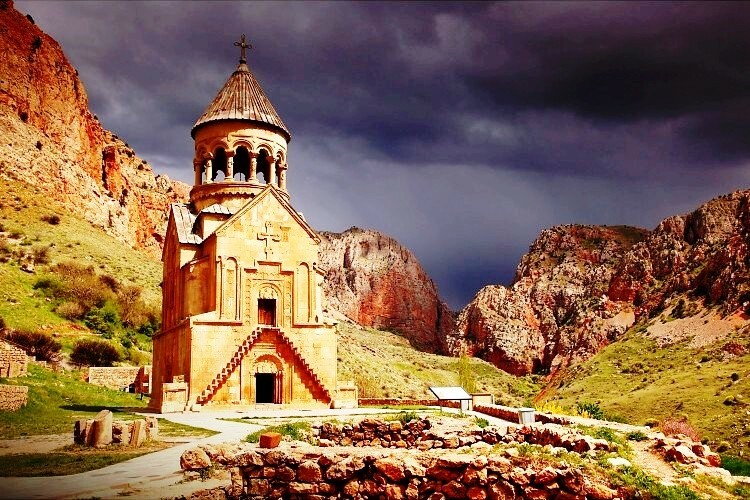 The village of Surenavan is also home to the “Abit” Armenian-Russian asphalt factory. Construction sector is also among the developing spheres of the economy of the province. Many large construction companies operate in Ararat town, Masis, Artashat, and the villages of Getazat and Avshar. 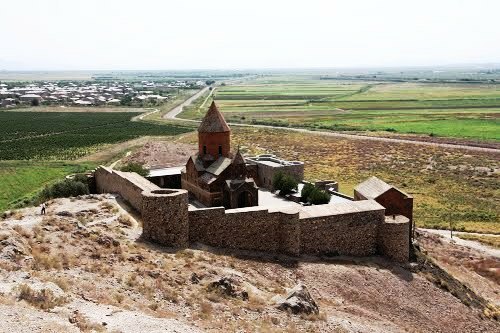 The Khor Virap monastery is among the regular tourist destinations in Ararat Province. The ancient settlements of Artaxata and Dvin are among the attractive sites for archaeologists. 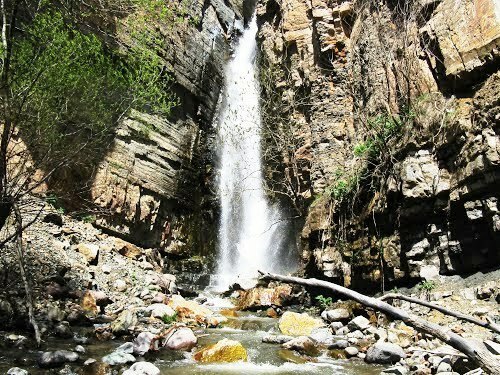 The province is home to many protected areas of nature including the Khosrov Forest State Reserve, the Goravan Sands Sanctuary and the Khor Virap Wildlife Sanctuary. 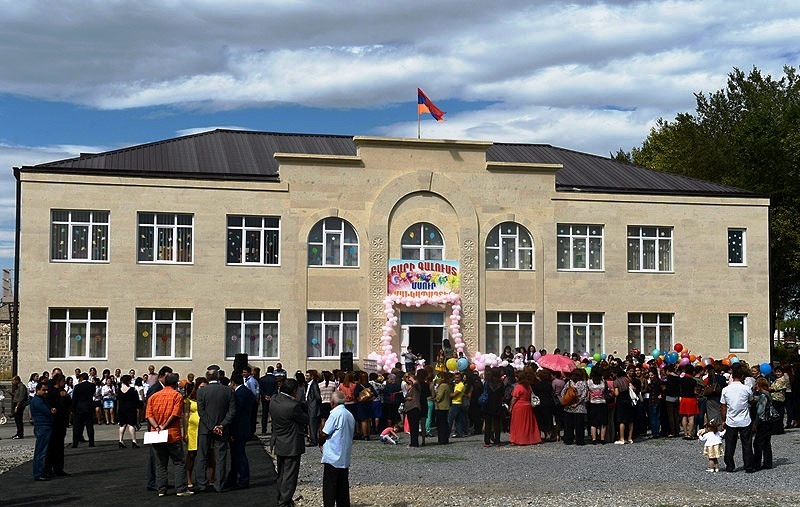 As of the 2015-16 educational year, Ararat Province has 112 schools, out of which 107 are operated by the province administration, while 5 are under the direct supervision of the Ministry of Education and Science. As of the end of 2015, the number of the students in the schools of the province is 31,457. 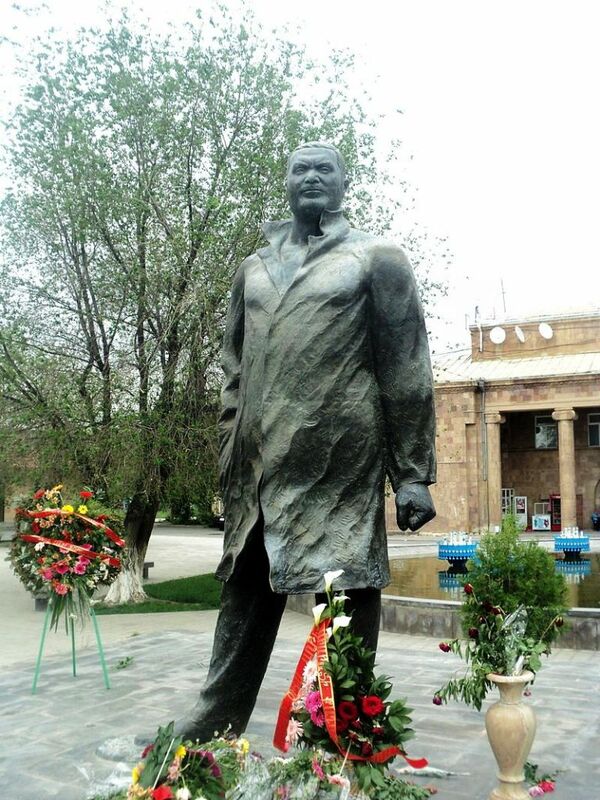 There are many public libraries and cultural houses in the towns of Artashat, Ararat, Masis and Vedi.